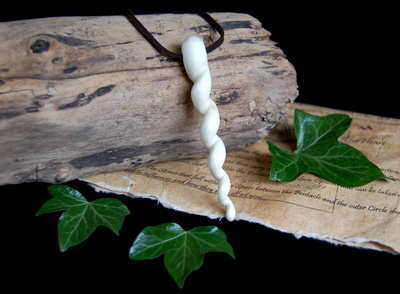 This delightful Pendant has been Hand Carved by *Moon Goddess Garden* with a soft Unicorn style Spiral. 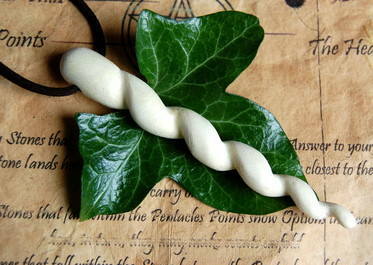 It has been Carved from Willow wood which is known for its connection with Luna Magic and The Goddess. The Pendant measures approx 4" in length with a width of 5/8" at its widest which forms into a gentle point. It will come with a soft Brown thong and a lobster style clasp. Willow is a Magical Tree that is said to 'Bless all that it touches' It has a Healing Aura and a strong connection the the Moon and the Goddess. Its Magical properties include: Love, healing, Divination, Protection and Luna Magic.